Fourth of July is the holiday of the year for my in-laws. I won’t even tell you how much they spend on fireworks. 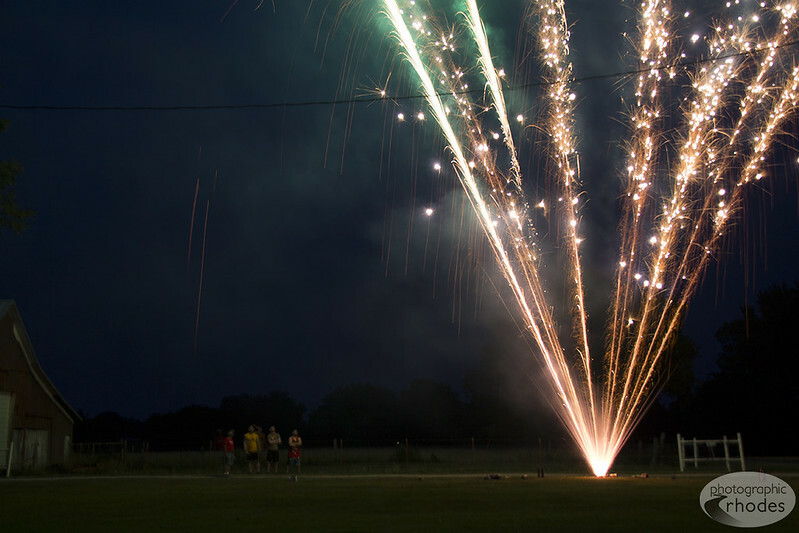 We always have a great time hanging out with family, eating too much, watching the kids shoot off small fireworks, and finishing the day with our own personal fireworks display. Here you can see four of the guys (my husband included) stepping back to watch a huge fountain they set off.